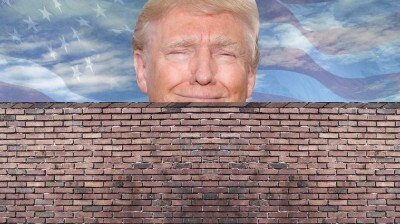 President Trump is unlikely to fulfill his dream of forcing Mexico to pay for his proposed wall along the United States’ Southern border. If it is built, though, U.S. taxpayers will almost certainly foot the bill, which some have estimated could be as high as $50 billion. With that said, it’s worth taking a step back to look at the economics of U.S.-Mexican relations to see how immigration from Mexico even became a political issue someone like Trump could use to his advantage. The North American Free Trade Agreement, commonly called NAFTA, is a good starting point. While it is finally widely recognized that so-called free trade agreements have harmed millions of U.S. workers, thought leaders from both sides of the political spectrum continue to assume NAFTA has been good for Mexico. This assumption is forcefully contradicted by the facts. If we look at the most basic measure of economic progress, the growth of gross domestic product, or income per person, Mexico, which signed on to NAFTA in 1994, has performed the 15th-best out of 20 Latin American countries. Other measures show an even sadder picture. The poverty rate in 2014 was 55.1 percent, an increase from the 52.4 percent measurement in 1994. Wages tell a similar story: There’s been almost no growth in real inflation-adjusted wages since 1994 – just about 4.1 percent over 21 years. Why has Mexico fared so poorly under NAFTA? Well, it must be understood that NAFTA marked a continuation of policies that began in the 1980s under pressure from Washington and the International Monetary Fund, when Mexico had been left particularly vulnerable from a debt crisis and world recession. These policies included the deregulation and liberalization of manufacturing, foreign investment and ownership – 70 percent of Mexico’s banking system is now foreign-owned. Mexico also moved away from the pro-development policies of the previous decades toward a new, neoliberal prescription that tied Mexico ever more closely to its northern neighbor and its questionable ideas about economic development. The purpose of NAFTA was to lock in these changes and policies in an international treaty so that they would be more difficult to reverse. It was also designed to add special privileges for transnational corporations, like the right to sue governments for regulations that reduced their potential profits – even those dealing with public health or environmental safety. These lawsuits are decided by a tribunal of mostly corporate lawyers who are not bound by precedent or any national legal system. About 2 million net jobs have been lost in Mexican agriculture, with millions more displaced, as imported subsidized corn has wiped out small farmers. From 1994-2000, immigration to the U.S. from Mexico increased by 79 percent, before dropping off in the 2000s. Now about that wall: If the Mexican economy had just continued to grow post-1980, as it did for the two decades prior, Mexicans would have an average income at European levels today. Very few Mexicans would take big risks to live or work in the U.S. But growth collapsed after 1980 under Washington’s failed experiment. Even if we look just at the 23 years post-NAFTA – the much better years – GDP per person has grown by just 29 percent, a fraction of the 99 percent growth Mexico saw from 1960-1980. The wall would cause significant environmental and economic damage, if it is ever built. But it is the long-term damage that Washington has helped visit upon the Mexican economy that has brought us to the point where a U.S. president could even propose such a monstrosity.